Join Leigh Hodgkinson for stories, giant drawings and fun crafts, with some storytelling in between. Leigh writes and illustrates picture books for children. Her books have been translated into oodles of different languages around the world and have even won some awards too. She is art director and co-creator of an inventive new animated show called “Olobob Top” for CBeebies. 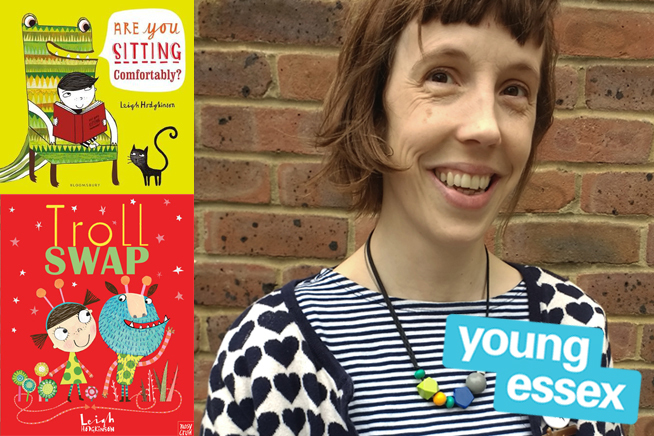 Leigh likes swimming, buttons and cheese, but she’s not so keen on slugs, tidying or parking. This event is run by Essex School Library Service which is part of EES for Schools Owned by Essex County Council, EES for Schools provides a range of specialist education services focused on school effectiveness. The organisation works with over 4,500 schools across the UK delivering highly-successful training and consultancy services in the areas of school effectiveness and improvement, pupil assessment and progress tracking, clerking, finance, HR, governor services and school library services.